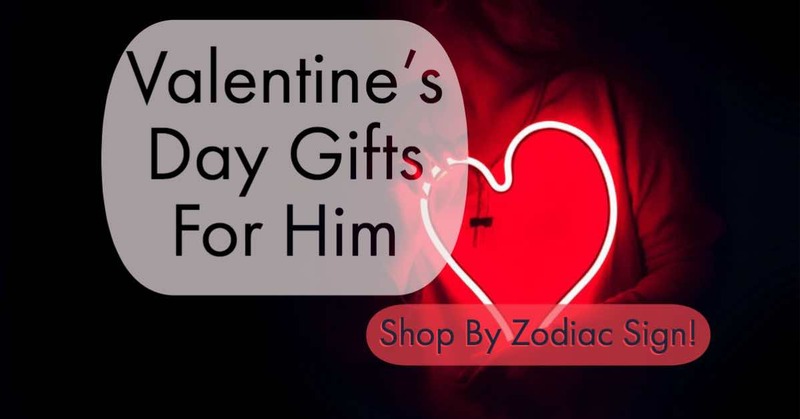 Valentine’s Day gifts for him are easy to find for your special guy—and for friends and family on your list—with our Valentine’s Day gift guide organized by zodiac sign. 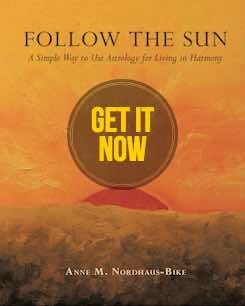 Let the stars guide your giving! It’s your essential guide to making this Valentine’s Day simple. Click below to find gift ideas for him—for every zodiac sign! An Aries man is a fiery, risk taking guy. This sign loves cars, speed, and anything made of iron. Check out these presents, perfect for the Aries Ram in your life! A Taurus man needs to take care of practical matters in a methodical way with the best tools for the job. He also enjoys nature’s beauty and the good life to relax from hard work. Choose among these presents, and you’ll have one contented Bull in your life! Your Gemini man will love a set of Mercury dimes&colon; after all, Mercury rules his sign! He’s dextrous and talented with his hands, either working (or playing!) on the computer or making things. Help him care for his hands with a top flight manicure set or hand exerciser. And for fun, give him a colorful monkey, one of the animals linked to his chatty sign. Many Cancer men are talented in the kitchen and on the grill, so try a grilling cookbook for one of his favorite foods, fish. Or a top quality knife with handle simulating mother of pearl, which is linked to his sign. Cancers also love blue, and a sweater or shirt in his special color will help him feel right at home in his own skin. Palms are among Leo’s plants, and a silk palm tree for your man is a good mix of practical and decorative. Leo also is associated with the heart, so remind him to take good care of his with an amusing human heart plush figure. Leo likes gold and playing a starring role, and any present here including gold lion cufflinks or a Broadway star board game will help him feel special! Virgo men often are health conscious. Help yours stay in shape with a fitness tracker, then wind down with an acupressure mat and some calming music. A snack of organic nuts will be very welcome, too! Libras are devoted to fairness and justice. What better present for your Libra man than an elegant mahogany gavel? Casual pastel polo shirts or periwinkle blue dress shirts will soothe him, and copper coasters or other accessories for the home will help him feel in tune with his sign. A sunset symbolizes Libra’s end of the day energies, so a colorful framed photograph of a setting Sun will lift his spirits, too! Blackthorn, long used for walking sticks, is a Scorpio thing. Your Scorpio man will love brandishing an authentic Irish blackthorn walking stick! He’s good in a crisis, especially if you get him a set of electronic lighters. To relax, the passionate Scorpion enjoys reading a book about the art of war or digging deep with a rock mining kit to uncover precious objects from the earth. Like his female counterpart, the wilder side of his nature will appreciate the raw, unpainted steel in an infinity steel artwork. The Sagittarius man is a centaur, like his symbol, the Archer. He’s a red-blooded human yet loves horses and running a little wild. He also enjoys the stories of Robin Hood, so his own archery set will be a thrill. When he’s not traveling, he’s a great talker and storyteller, sharing yarns with family and friends. Ambitious and practical, the Capricorn man has an earthy humor yet high flying visions. In his heart, he’s the CEO, so an executive pen set is perfect, whatever his profession. He’s very aware of time, so a watch or old fashioned grandfather clock will appeal. Remind him of his fun side with a wild goat statue! Your Aquarius man likely loves gadgets, anything modern or made of aluminum, and dramatic images of lightning or electricity. Indulge him with electronics gear or an aluminum glider chair, and pamper him with a soothing ankle brace, a sky blue hooded sweatshirt, or his sign’s trademark gem in aquamarine crystal cuff links. A fish tank for the Pisces man will connect him happily with his sign and symbol, the Fish. Poetry by Johnny Cash, his fellow Piscean, or a god of the sea sculpture will be sure to please your Fish. His dream world is vivid, so a dreamer’s dictionary will give him food for thought, and he loves the glamour of retro film and photography. At the end of the day, a foot massager will help him head happily off to dreamland.